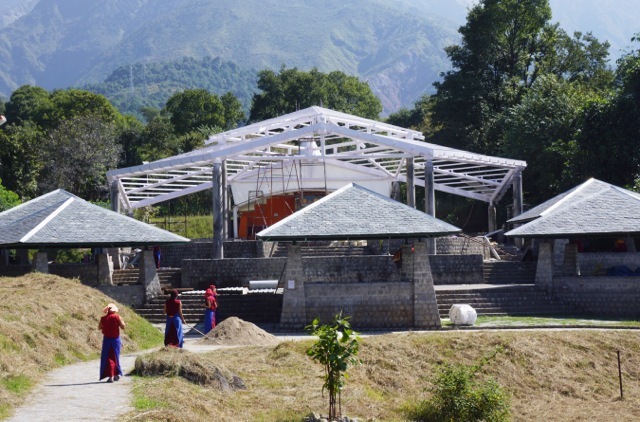 One of the final construction projects at Dolma Ling Nunnery located near Dharamsala, India is the creation of a permanent roof for the debate courtyard. 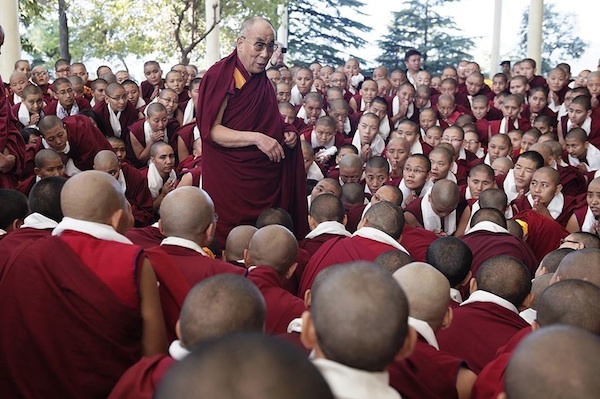 Each year in October, the Tibetan Nuns Project supports a special debating event, called the Jang Gonchoe at which hundreds of nuns from nunneries throughout India and Nepal come together to practice this ancient form of learning. For many, this is an essential component of working towards the Geshema degree, equivalent to a PhD in Tibetan Buddhism. To support this core learning activity, we need to build a large covered space where large numbers of nuns can congregate to debate. The former soft-cover roof for the courtyard was destroyed in extreme weather and we are now seeking funds to create a permanent metal roof for the courtyard so that hundreds of nuns can debate, regardless of the weather and the season. The roof will protect the nuns from the hot Indian sun, the torrential monsoon rains and the other extreme weather in the region. The building process for the roof is already underway thanks to the generosity of our supporters. The concrete columns and supporting pillars are complete. The Tibetan Nuns Project has taken a loan and is rushing the project ahead in order to have the roof in place in time for the Jang Gonchoe debating session which starts on October 4, 2013. The total cost of the project is US $65,000. Please help us finish the roof by contributing to our roof fund. This entry was posted in Buddhist Nuns Life, Events and tagged Buddhist nun education, Dolma Ling Nunnery, Jang Gonchoe, Tibetan Buddhist debate on September 26, 2013 by Tibetan Nuns Project.